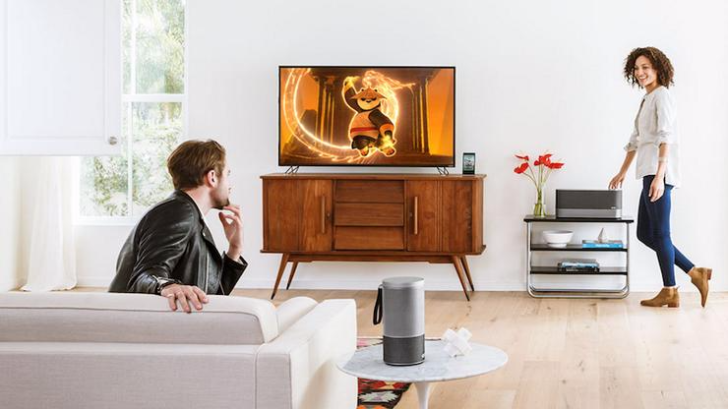 Vizio has been teasing its new Google Cast speakers for several months and they're now finally, officially official. The new SmartCast Crave series has two speakers and they both look positively badass with a satin aluminum grille, but I have to say I'm mostly smitten by the 360. The Crave 360 has a tubular shape reminiscent of the Amazon Echo, and uses it to blast tunes in 360 degrees. It's meant to be a portable and stationary speaker in one, with an 8h battery life and a wireless charging base that you can pluck it on and take it off whenever you feel like bringing it to the garden, park, balcony, or just moving it around the house.